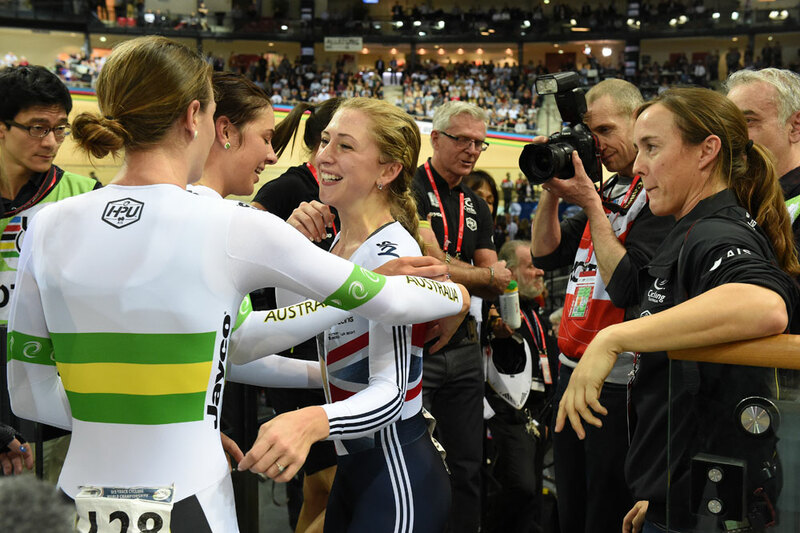 Laura Trott and her British team mates had to get used to the unfamiliar taste of defeat tonight, losing their team pursuit world title to Australia and along with it their world record. Australia comfortably beat the British team by three seconds, setting a new best time of 4:13.606. Great Britain’s time was two tenths of a second off the old world record. Trott has been part of the world title winning squad for the last four years and has an unbeaten run in international TP competition dating back to March 2011. “I’m a bit gutted, I guess,” she said after receiving her silver medal. “It’s the first one we’ve lost so it’s a bit of a shock in a way, but they rode a 4:13, which is unbelievable. We’ve never gone anywhere near doing that so hats off to them. 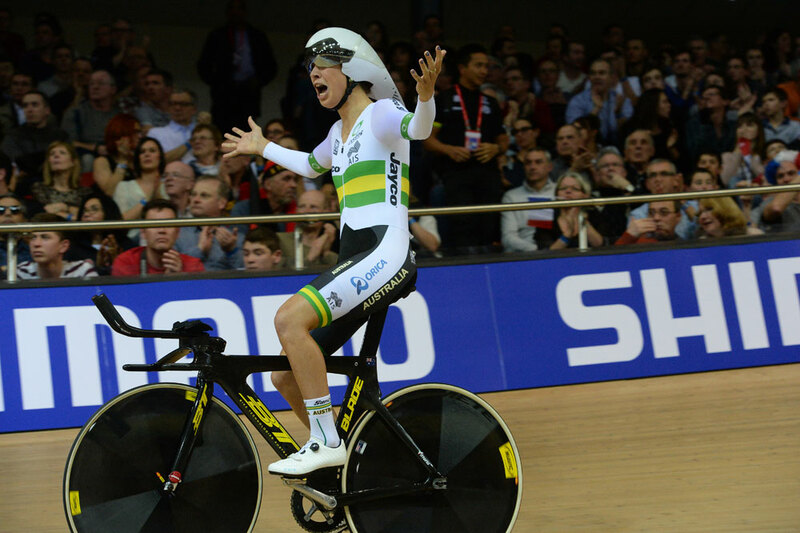 Today’s world title was Australia’s second in the event that first ran in 2008. After several defeats, many at the hands of the Brits, they were beginning to question what they had to do to get back on the top step. “It’s not that we weren’t motivated, we just didn’t know where we were going wrong,” explained Melissa Hoskins. Laura Trott congratulates the Australians after they beat the British team and set a new world record. 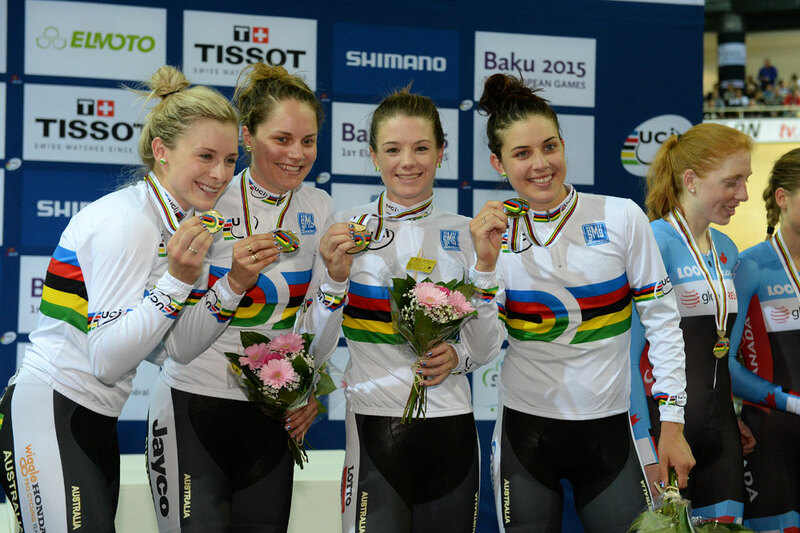 Melissa Hoskins (far right) celebrates her first team pursuit world title. 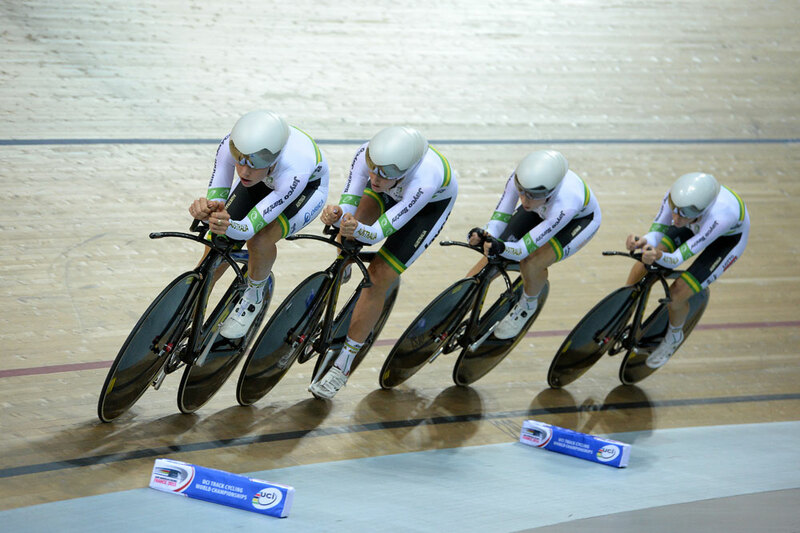 The Australian team has now taken seven seconds off the national record in just three weeks. Although this fast, circular track in Saint Quentin en Yvelines obviously helps, it represents a massive change in fortune after they had slipped to bronze at last year’s world championships.